"Although Stoke has the grandest town hall of the six towns and remains of the medieval parish church, it has no civic centre. Leave the place where town hall and parish church are seen together, and you are at once, visually, in a small town." 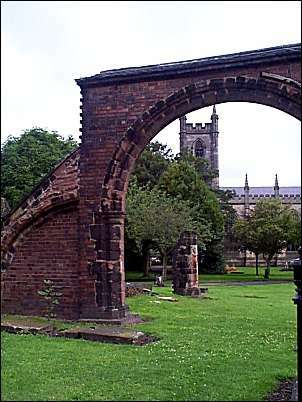 In the garden to the s are the picturesquely displayed remains of the medieval parish church. 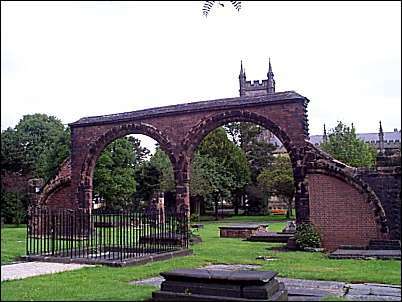 Piers, responds, and arches of the C13 were re-erected in 1887 by Lynam. Two responds are meant to indicate the length of the n aisle, two half-arches look like flying buttresses. 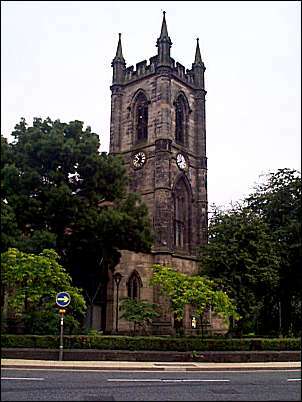 The new church is of the Commissioners' type and was built in 1826-9 to designs of Trubshaw & Johnson. W tower, five bays of long three-light Perp windows, chancel of two bays with a five-light e window. Battlements and pinnacles. Three galleries inside. -sculpture. Small c17 ivory Crucifix, called Spanish (pulpit). - stained GLASS. The E window by David Evans, referred to in 1830. - plate. Two Flagons, 1809 by Peter & William Bateman. - monuments. Here are the monuments of three members of the greatest pottery families. Josiah Wedgwood 1795 by Flaxman. Brilliant portrait, three-quarter view, in a medallion. Large, melodramatic angel. By Behnes. - Also by Behnes John Tomlinson 1839 with a frontal bust on top. John Chappel Woodhouse 1832. Profile bust. 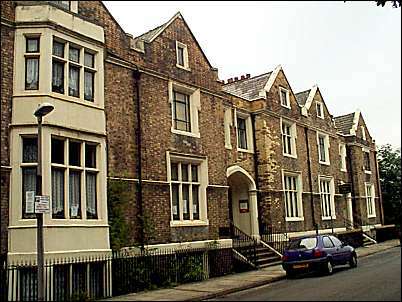 N of the church is Brook Street, a terrace of various neo-Jacobean houses of yellow brick. It is of before 1830, and thus remarkably early. These buildings are situated on the north side of Brook Street which crosses the line of the culverted Fowlea Brook - hence the name Brook Street. By Henry Ward, begun in 1834, but the wings completed only c.1842 (n) and after 1850 (s). he King's Hall was added behind in 1910-11 (T. Wattis &J. A. Bowater). Nineteen bays' frontage, ashlar. 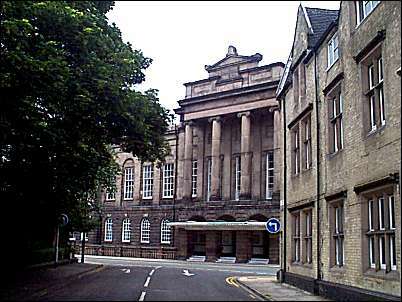 The centre has a giant upper portico of unfluted Ionic columns and a big, heavy attic piled on top. The angles have three-bay pedimented pavilions. The view from Brook Street.